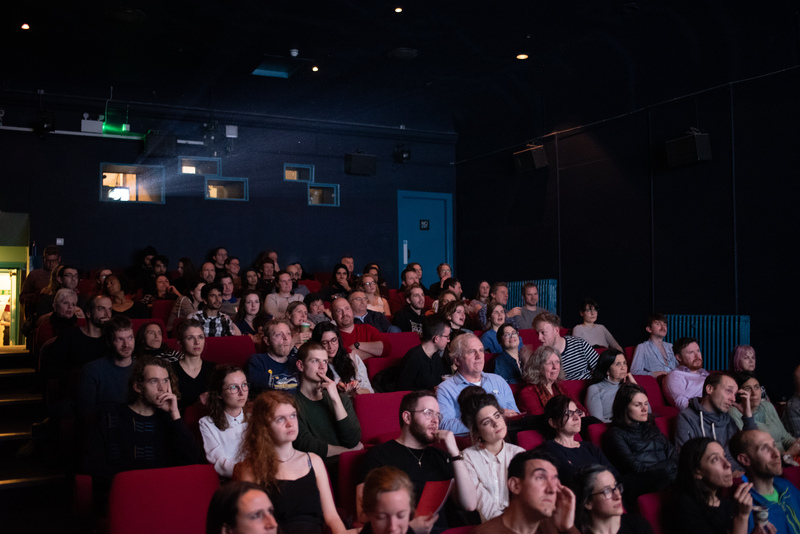 We’re excited to open our call for entries for our 2019 edition and looking forward to screening another 8 nights of fabulous short film in Edinburgh later this year! By Paul Bruce|2019-01-01T13:24:46+00:00January 1st, 2019|News Posts, Uncategorized|Comments Off on Edinburgh Short Film Festival 2019 Now Open For Entry! Well, that’s a wrap for the 2018 Edinburgh Short Film Festival, we had a ball but don’t worry, we’ll be back next year! By Paul Bruce|2018-11-12T15:45:34+00:00November 12th, 2018|Uncategorized|Comments Off on So long and thanks for all the Films! Our new partners for 2018 are Florence’s FilmCorti Festival which holds annual screenings of live-action short films every June and a specialised animation programme each October. Fresh from sending some of our favourite docs and animations to Mecal’s 10th year celebrations in March this year, we’re also impressed to discover that 2018 also marks the 10th year of the delightful Fastnet Film Festival in the lovely environs of Schull, County Cork in Ireland. By Paul Bruce|2018-04-28T08:58:12+00:00April 28th, 2018|Uncategorized|Comments Off on ESFF at Fastnet Film Festival 10th Anniversary Edition! We’re excited to have been asked to present a night of Scottish Short films at Mecal 2018 – Barcelona Int. Short Film & Animation Festival! Roberto Barrueco, Mecal’s Festival Director, curated a programme of some of Mecal’s favourite animated shorts at last year’s Edinburgh Short Film Festival, and we’re happy to reciprocate at this year’s event! We’re excited to announce a new partnership with SFilmmaker, a China-based film festival agency based at Shao Studio in Beijing! Run by Joanna and her energetic team. SFilmmaker is dedicated to forming connections between film-makers globally. We’re looking forward to working with them and to watching some excellent Chinese shorts this year! Early Bird Deadline ends on Friday! By Paul Bruce|2018-01-27T09:18:46+00:00January 27th, 2018|Uncategorized|Comments Off on Early Bird Deadline ends on Friday! Puppet Animation Scotland and the Edinburgh Short Film Festival created a new award in 2017 for Best Animation, to be presented annually at the Edinburgh Short Film Festival. The inaugural award, presented on the ESFF closing night on Saturday November 11th, was won by French animator, Chloe Lesueur for her extraordinary short film TIS.